Arab teachers brag to British newspaper of their incitement and encouragement of their students to murder Israelis. An investigation by the British newspaper the Daily Mail revealed that British taxpayer dollars are being used for fund incitement against Israelis and Jews in Palestinian Authority schools in Judea and Samaria. The report, which was published Sunday, revealed that 24 PA schools are named after terrorists, including terrorists who murdered Israeli civilians. The Daily Mail found that teachers routinely incite violence against Israeli in the classroom and teach children to hate Israel and Jews, and that terrorists with blood on their hands were depicted as heroes and as role models for the children. One teacher told the Mail that if a student said that he planned to attack Israelis, the teacher would tell the student: "Go in the name of God." Among the disturbing findings of the investigation were schools named after the perpetrators of the Coastal Road massacre, in which 37 Israelis, including 12 children, were murdered,and the man who planned the Munich Massacre in which 11 members of the Israeli Olympic team were murdered. 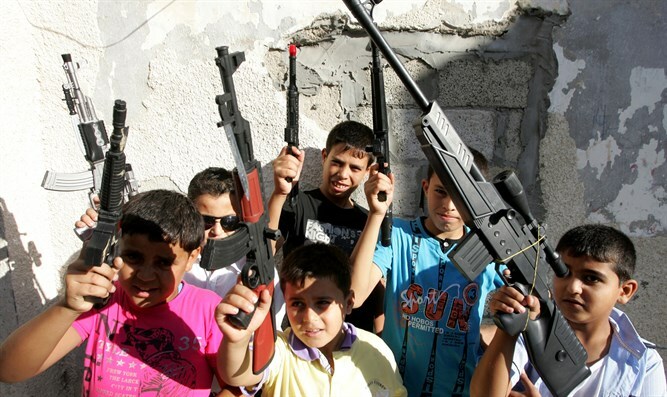 The report documented school and summer plays in which Arab children staged mock executions of Israeli soldiers, and that events, such as sporting competitions, are held in honor or terrorists and murderers of Israelis.